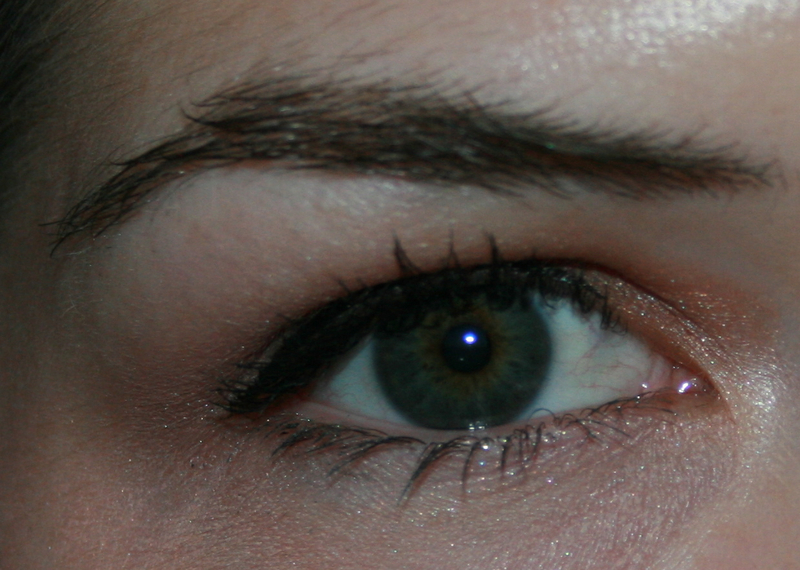 As you will surely notice if you stick around long enough, I am a huge fan of wearing neutral colors on my eyes. That fact, combined with my hooded lids and limited makeup skills, may result in some pretty boring EOTD looks....especially if you like bright, exciting colors. For me, however, I love a good neutral eye and can never get enough of them, so I will continue to post my EOTDs, more so to provide color swatches on the actual eye rather then arm. Apologies for my poor photography skills! 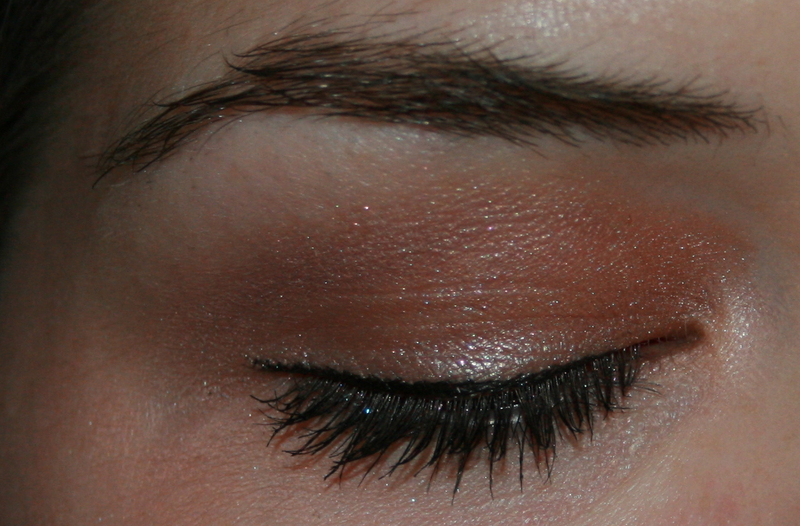 Anyways, here is what I had on my eyes yesterday--based around Chanel Beige Lamé Ombre Essentielle Soft Touch eyeshadow. I ordered this after reading Temptalia's Top 10 Eyeshadows of 2011--who was I to argue?! The colour is a stunning warm beige, slightly less coppery in real life than it appears in these photos, with micro glitter that looks almost purple and green in the pan, but is tremendously sophisticated on the eyes. The quality is exactly what you would expect out of a Chanel shadow. Beige Lamé was released as part of the Holiday 2011 collection, but it is still available at certain retailers (I bought mine at Nordstrom towards the end of December 2011). I would recommend moving fast on this one, though, as I am not sure how much longer it will be available. And while I cannot guarantee that you will love it, I for one am already thinking about buying a backup, in case I ever use up all of this shadow!